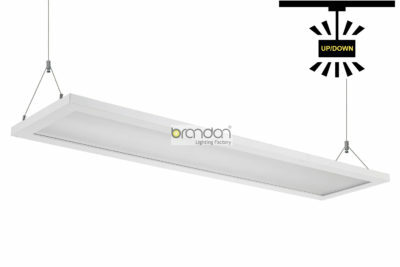 Brandon LED round flat panel design for high-end interiors, offices, hotels, retail, and other commercial/home projects. It incorporates advanced light guide plate technology and high brightness micro-SMD LED light source to deliver a smooth, up&down and uniform light fixture. This LED round flat panel is a unique round flat panel luminaire designed to provide smooth, dispersed illumination for modern interior spaces. Featuring a low-profile aluminum construction, it is convenient and durable for installation in ceilings with a low plenum space. This LED round panel incorporates innovative light guide plant and curved LED board that are engineered to eliminate glare issues.